Our company prides itself on creating armoring technology that saves lives. Let us know how we can assist you today. If you are looking for solutions against various threats our company has over 200 years experience in our industry. 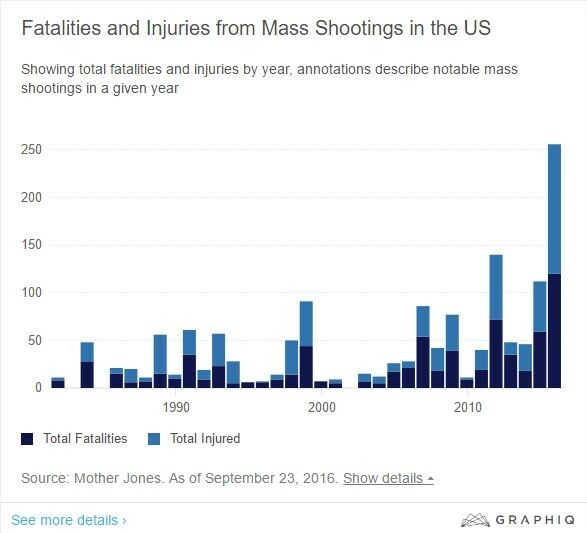 US Mass Shootings, 1982-2016: Data From Mother Jones’ Investigation (motherjones.com). As of September 23, 2016. This dataset originally covered 1982-2012 and has since been expanded through 2016. For more context and analysis, see our Guide to Mass Shootings in America.